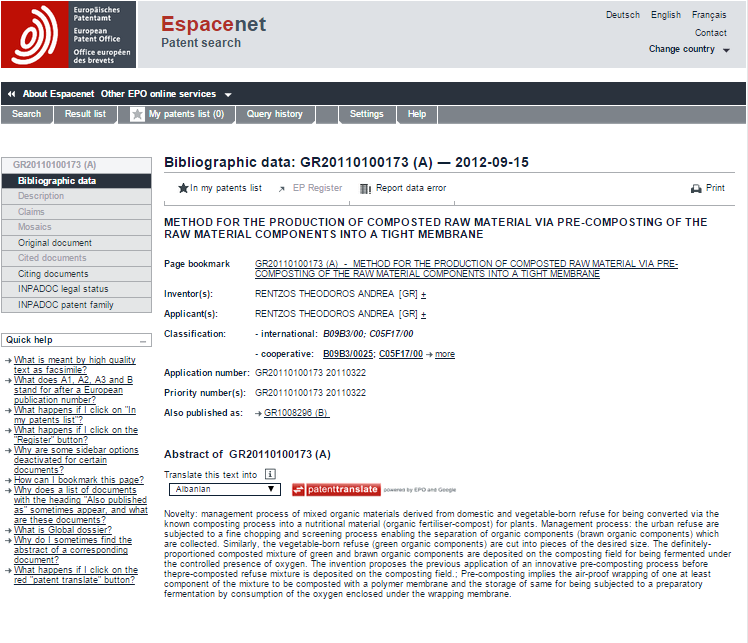 Method for the production of composted material via pre-composting of the raw material into a tight membrane . The invention is the process of fermentation of the organic material from the Municipal Solid Waste into a nutritional material. The invention proposes the previous application of an innovative pre-composting process before the deposition on the composting field. ; Pre-composting implies the air-proof wrapping of one at least component of the mixture to be composted with a polymer membrane and the storage of same for being subjected to a preparatory fermentation by consumption of the oxygen enclosed under the wrapping membrane.